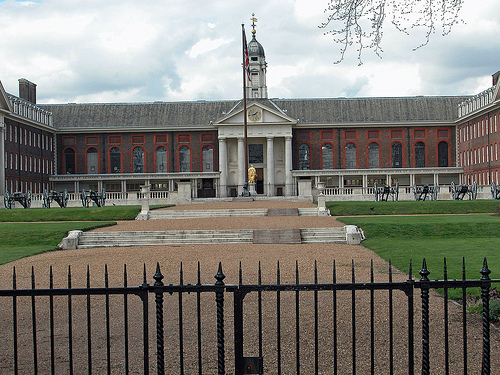 The first stone of the Royal Hospital, Chelsea, was laid by Charles II in 1682. The idea of a home for veteran soldiers was inspired by the Hôtel des Invalides in Paris. 476 pensioners were admitted in 1689 and the building was finally finished in 1692. 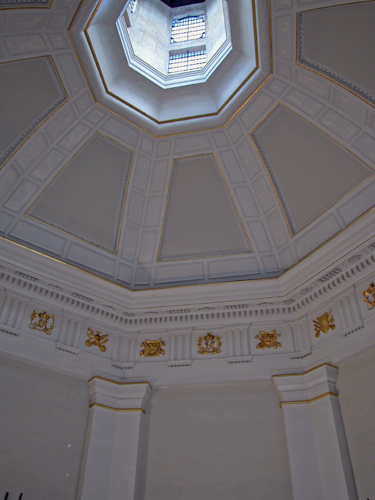 I have carried out a lot of work at the Royal Hospital. The most recent project was the analysis of the Chapel, Octagon and Great Hall. The Octagon appears to have been painted on about twenty-one occasions. The majority of the decorative schemes have been in variants of stone colour. Soft distemper was employed on the first three occasions and then oil paint was adopted. Gilding was applied to a couple of the elements as part of the fourth and fifth schemes. No further gold was employed until very recently. Always remembering to wear my regimental tie when I work there, I can be sure to be waylaid by in-pensioners who recognise it and much time is spent chatting about times past. 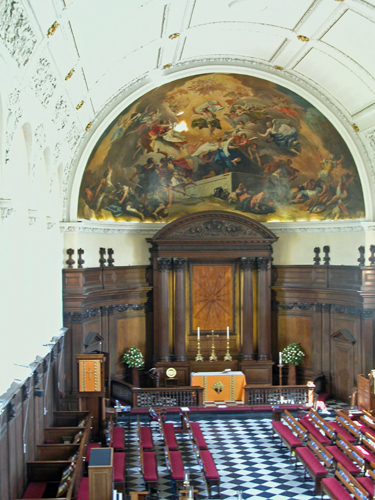 Approximately nineteen schemes of decoration were identified on the walls of the Chapel. The first three were carried out in distemper – two in off-white and one in a yellowish stone colour. The majority of the following oil-based paints were in stone colours and buff / fawn colours although two blue schemes could be seen in the early sequence. I was also commissioned to carry out the paint analysis of the four gates at the top of the South Grounds and in the SE corner of the grounds. The type of paint and the colours employed pretty much reflect the conventional treatment of ironwork over the last 150 years. Lead colour followed by red-brown, green then late twentieth century black. 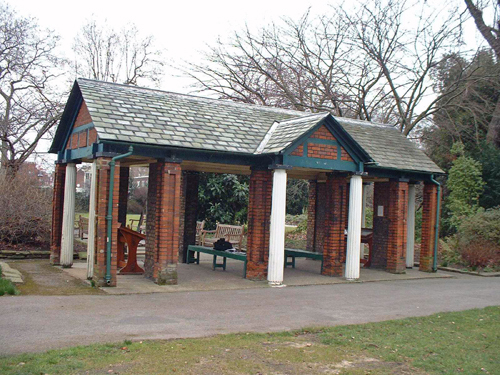 Some years ago I carried out the paint analysis of the Pavilion designed by Sir John Soane in the grounds.